Talking about the requirement and approach of the UX design, regarding interaction with the digital product, the general experience quality is determined by the link with the effortlessness of its usage, the setting, and the emotional impact provided by the product. The user experience can be measured in currencies. This can possibly be a contrast to the common sense expectation, as the UX is mostly concerned with insubstantial factors like pleasure and fulfillment. The knowledge of the measurement and presentation of the return on investment of user experience activities are the most vital things assisting in the successful introduction of the user experience in the business models. Only when the figure is added up, a global business module will show the keenness to invest in the UX. If you fail to integrate the strategy of the product into the user experience, it can be a subject of a heavy loss for the global business model. The user experience and the business software are still not in terms of collaboration. The charges of altering the mistakes after development are way higher than before development. The prices are likely to be elevated by the unintuitive programming of the internal training. A verifiable investment return is seen by the design and development procedure into which the integration of UX by an IT project is done. The ROI, to be measured, can have the property of tangibility integrated into the digital settings. On account of convincing the sponsors and CEOs, about the user experience that is worth to be invested in, the effects are needed to be measured and convincing case of business for the user experience conducts are to be made. The effect of the investment on the user experience is hugely computable. Let us check out the figures that are obvious to justify the ROI of UX. While computing the value of the UX effort of your organization, the most vital thing is to have the capacity to attach the outcome of your UX activities to the secured, lost or earned revenue with the assistance of the conversion funnel. While computing the rate of conversion, the comparative impact that the user experience bears on our KPI (key performance indicators) are measured. For instance, if you want to calculate the number of people who subscribed to the newsletters of a certain site, then tracing the number of people who viewed the blog, followed by the figures of the subsequent conversions are essential. The rate of conversion is highly affected by the UX because we are calculating whatever is happening immediately on the webpage. The strategy employed by the user experience is related to the notions of accessibility, branding, and the ability to be used. The regulated but randomized tests are employed to measure the ROI of user experience. It is, therefore, the most concrete case that can likely be made for the return of investment of the UX, since it helps the developers of the UX design to reckon the causality and the UX performance. The drop-off rates are calculated by taking into account the number of visitors who departed from the conversion funnel without having bought anything but do not certainly depart from the site. In order to determine the reason behind the mechanism of drop-off, it is highly essential to calculate the drop rate of the visitors to your site. After the drop-off rate has been computed, an analysis into the usability and structure of the conversion funnel can be set, in order to make the improvisations that are essential to enhance the user experience and increase the conversion. The application of poor UX design can result in problems regarding the UI design, which on the other hand can affect the capability of the user to glide through the conversion funnel. Though the number of consumers dropping-off the funnel is determined by the analytics the reason for the drop-off is not told by them. Single usability metric is the most appropriate way to measure errors. Few of the factors like count of errors, the rate of completion, satisfaction and task time is measured by the consistent and summated single usability metric. 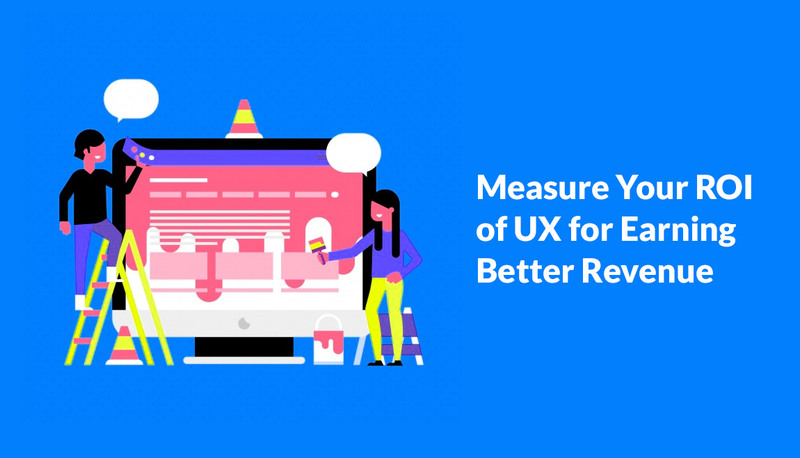 Therefore, the UX-oriented metrics can be leveraged by carrying the UX a step further. The most excellent way to steer the vitality of the UX to your enterprise or consumers is to interact in numbers which would allow you to draw a comparison between the performance of the competitor and the timely results of the in-house products.